This is an exhilarating mountain trail run. 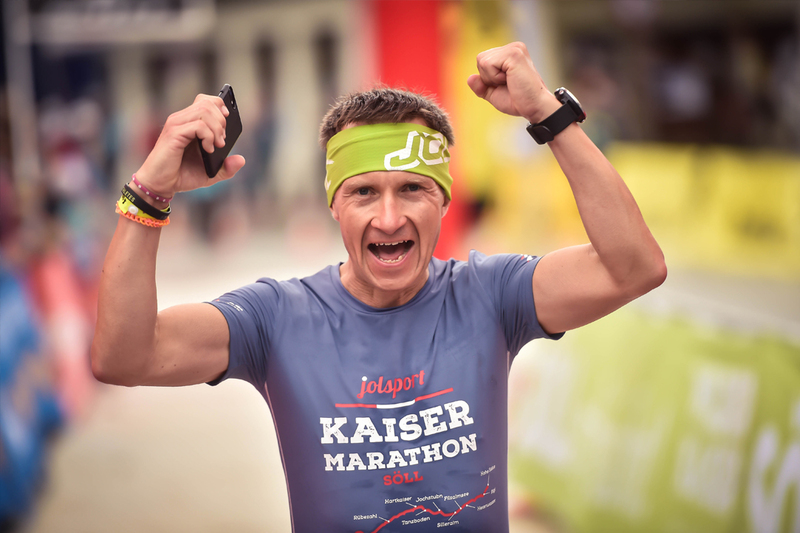 The first 2 kilometres are run on roads, the course continues along paths and trails, winds its way round the mountain and woodland trails on a hilly route, peaking at the Juffinger Jöchl and finishing back in Söll. 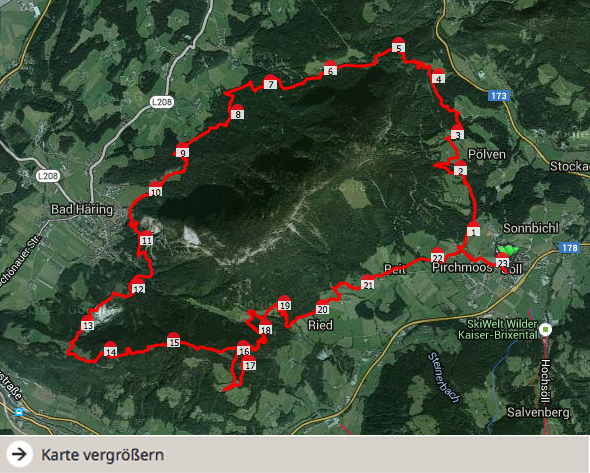 A challenging 23 kilometres await you with a total climb of 1.200 metres. 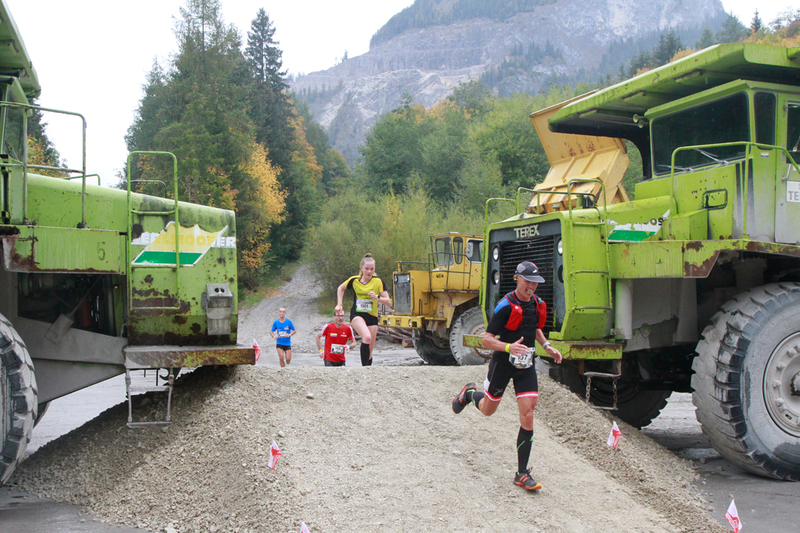 Course: Please note the stone quarry section in Bad Häring is only open on race day! 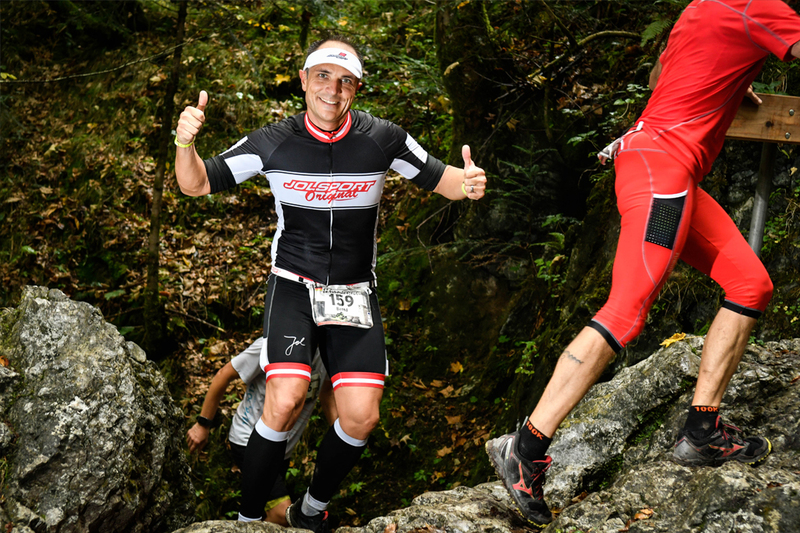 The course section through the stone quarry of Bad Häring is only open on race day! Thanks to SPZ Bad Häring for their support and access to the stone quarry. Observe regulations! 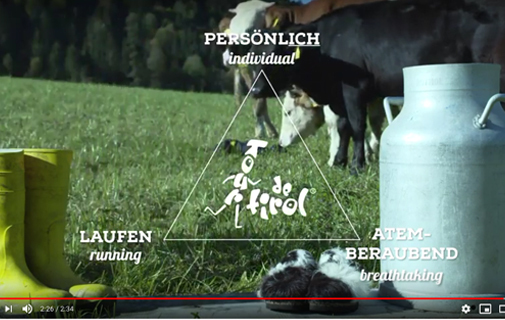 Please notice that the could be woodworks on the course (especially in the area "Schwoich") by the forest owners. If a part of the course is closed by a sign „Forstliches Sperrgebiet“, do not run throug this part. Always try to have view contact with the lumberjack. 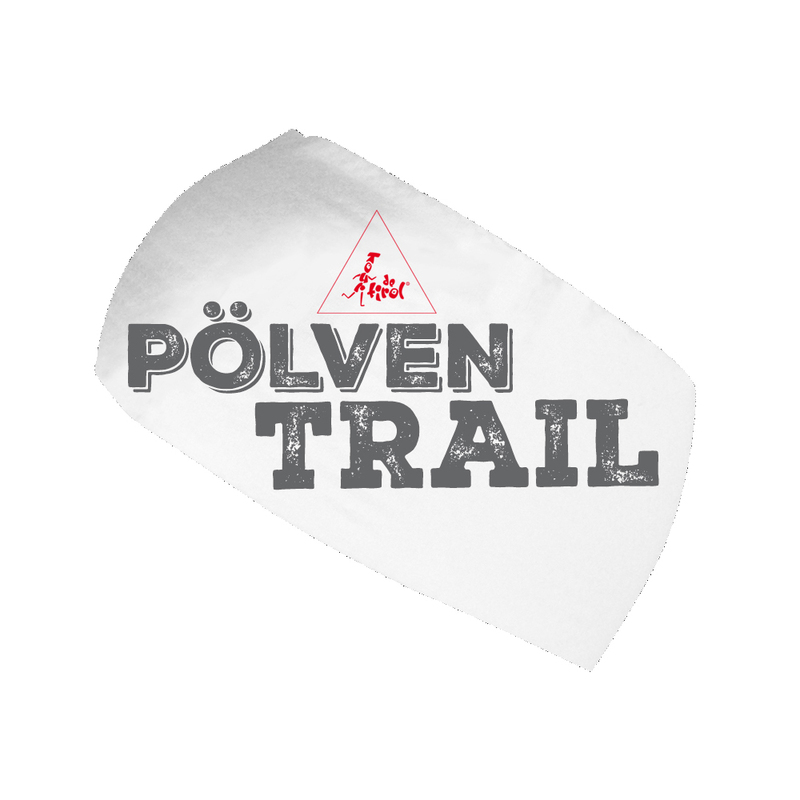 Please run the Pölven Trail before 9 am or after 5 pm, woodworks should be completed. Thank you for understanding the forest owners! START/FINISH is between the Hotel Postwirt and the Hotel Feldwebel in Söll facing the Pölven, after 500 metres you turn right at the Hotel Greil, passing the Landhaus Strasser. Again turn right to the “Sunnseitweg” (gravel road), continue to follow the blue signs for the rest of the race which lead you eventually to the finish area. 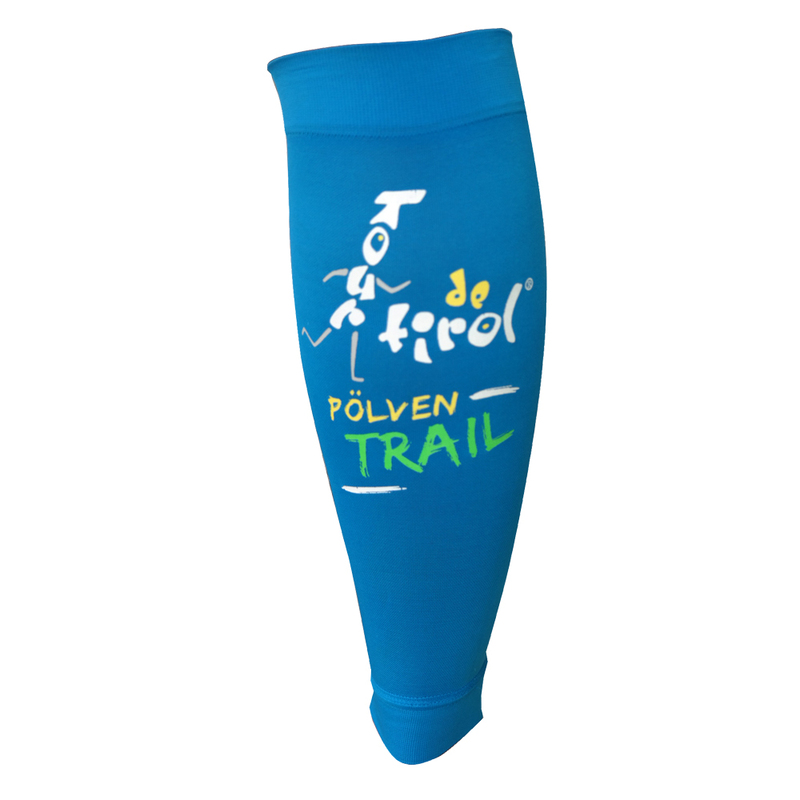 Please note a 2 kilometre section of the course, in Bad Häring, is only open for the Pölven Trail on race day. It is a restricted area, normally only open for quarry staff. 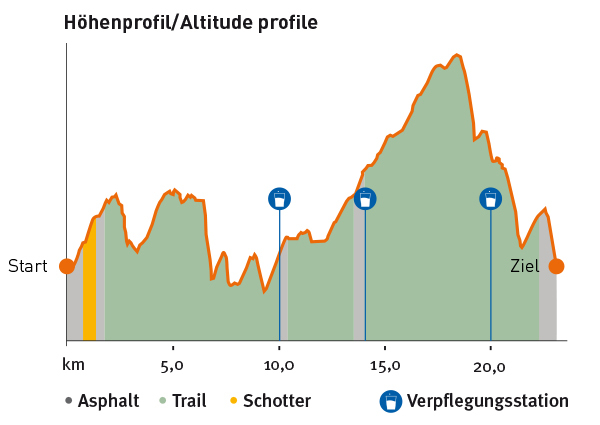 The course leads you to the highest point of the Pölven trail: Juffinger Jöchl (1.181m), it heads steeply downhill, in the direction of the Gasthof Badhaus, along the “Sunnseitweg”, passing the Hotel Alpenschlössl, on to the Landhaus Strasser, from there heading down towards the Hotel Greil and it is only 500 metres until the finish line! 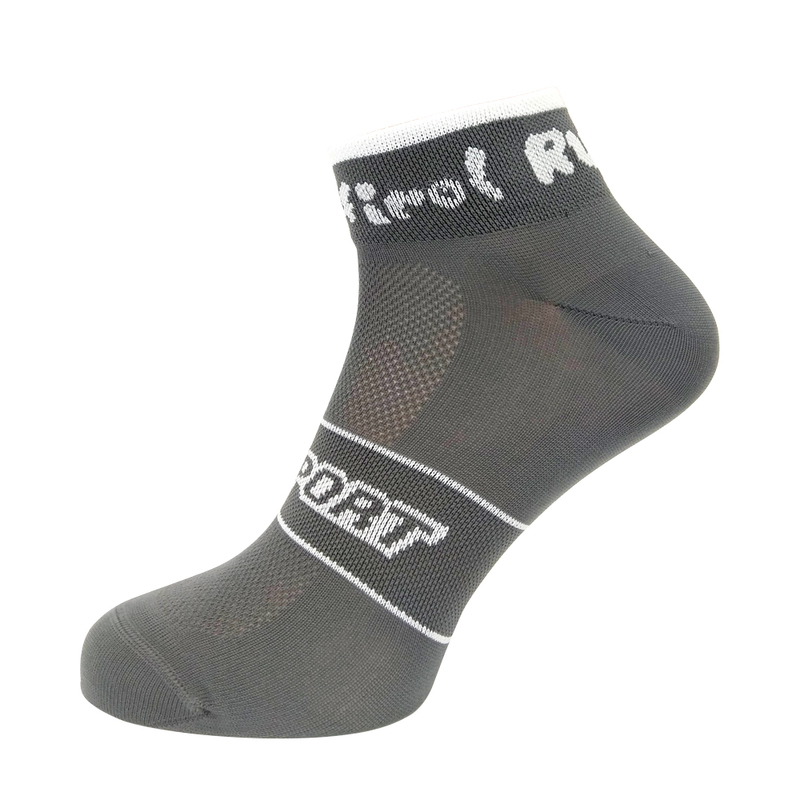 The profile of your running shoes must be a minimum of 3 mm at the start of the race. Gels and bars must be marked with your start number using a waterproof marker pen (Please don't throw away any rubbish outside of the aid station areas, as this could lead to your disqualification)! The profiles will not be controlled, because of the high number of participants. We want our participants to take care of themself! 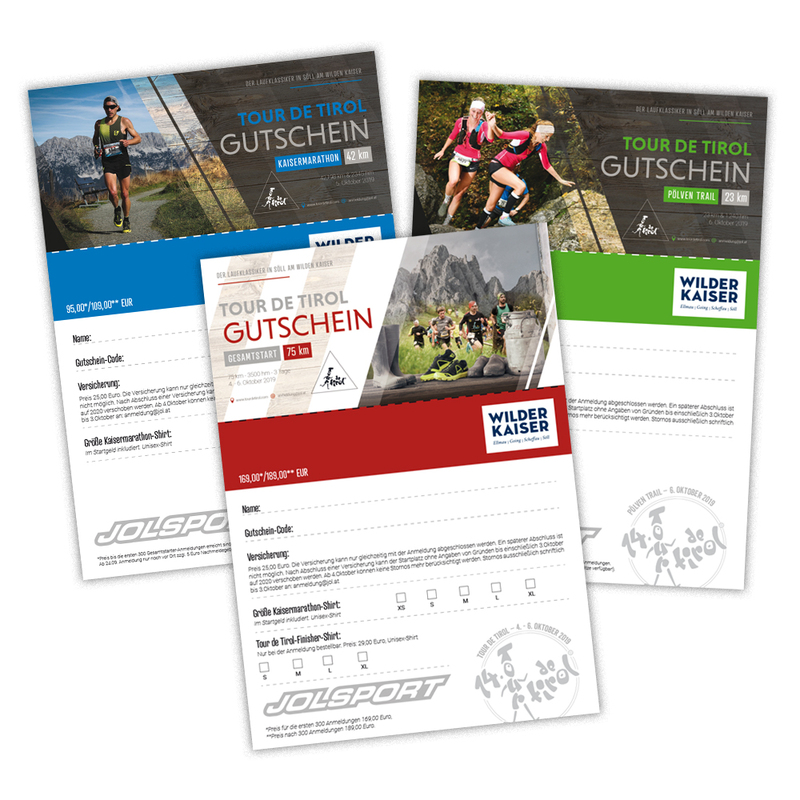 Suitable for alpine tours. No cotton-shirts! Use drinking bags, drinking bottles or a drinking beaker. For the sake of the environment there will be only a limited number of beakers at the aid stations! 9.00 – Wave 1 – 10 km within 40 Min. 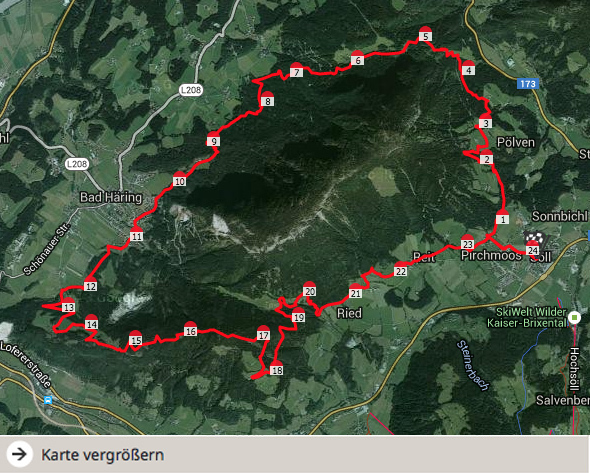 9.05 – Wave 2 – 10 km between 40 und 50 Min. 9.10 – Wave 3 – 10 km in more than 50 Min. 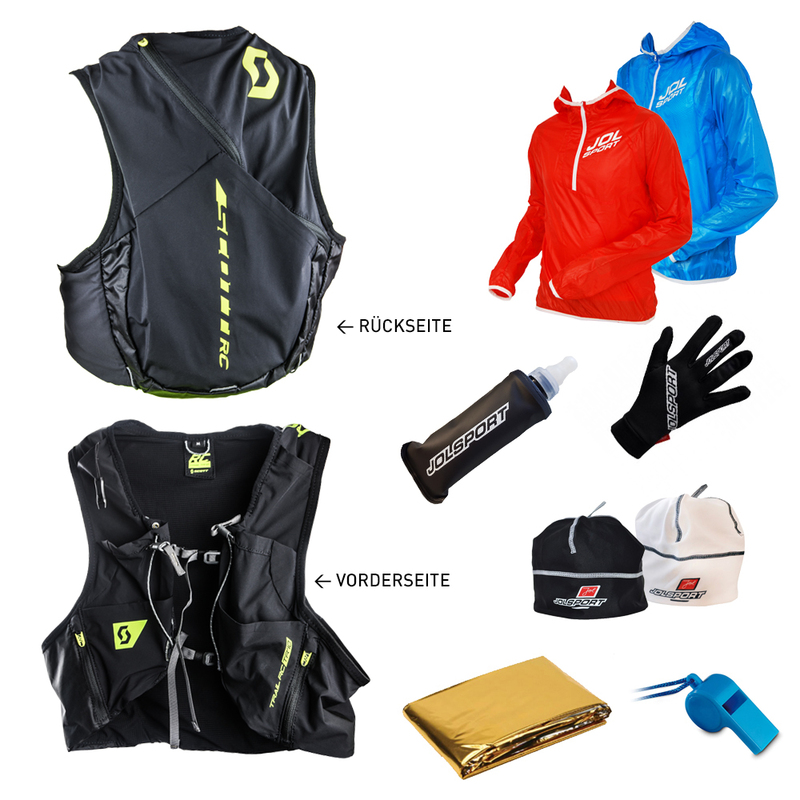 Prize: Prizes for the category winners. Only available at the medal ceremony, they will not be forwarded to you after the event. Start Money: € 42,00* / € 45,00** No starting fee refund! Transferring your start to the next year is only possible with an insurance booked at the registration. The registration is done by race result, 5% registration fee will be valid. The organiser is not responsible for any damage, accidents or thefts. Walking sticks or poles and headphones or headsets are not allowed at the race. Age Restriction: 16 year olds require the permission of their parents to compete.